For birthday parties, end of school year parties, after proms, summerfests, fundraisers, holiday activities, church groups, corporate events, bachelor and bachelorette parties. 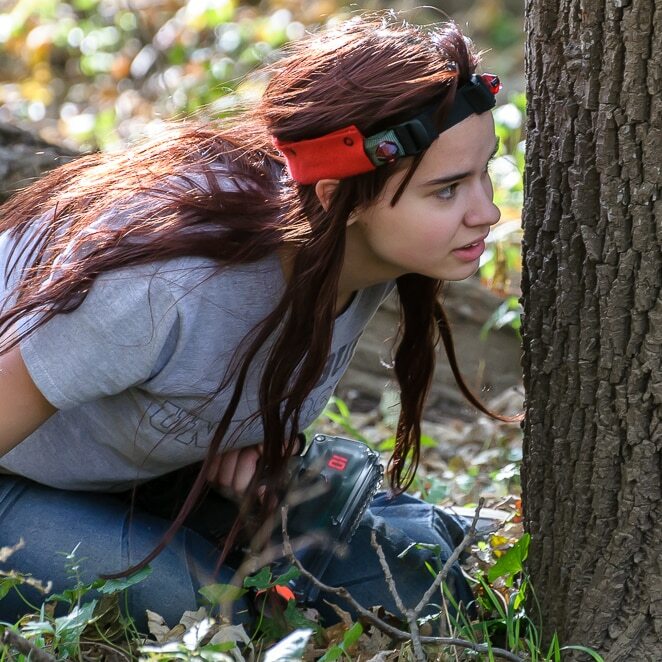 Whether you have a large or small group, you’ll have fun with our laser tag equipment! While we have many rental packages to choose from, Package #2 (8 guns) is our most popular package. It’s the right amount of laser tag guns and accessories for a back yard birthday party or family get-together. Contact us with questions or to rent. Family friendly laser tag gun. Quickly configure Classic Series laser tag guns. 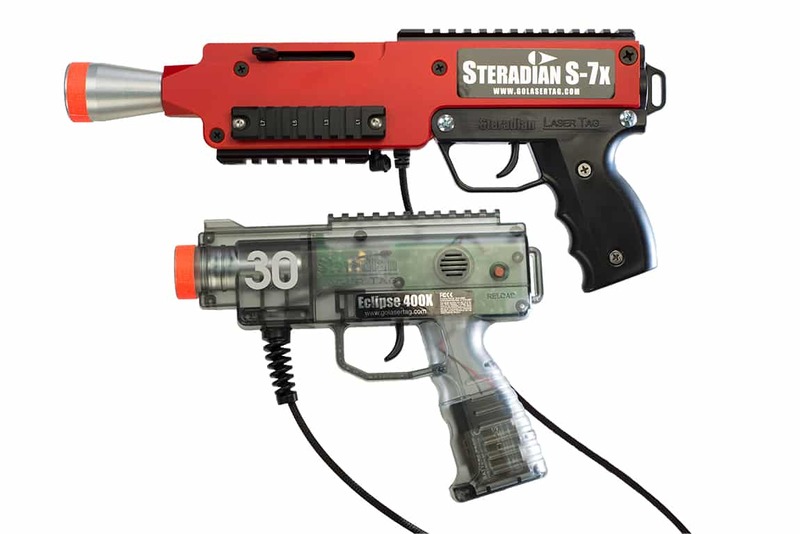 When you rent from Steradian Laser Tag, you are renting directly from the manufacturer of the world’s leading laser tag equipment. These aren’t just cheap guns you can buy at Walmart, these are professional grade laser tag guns which focus on fun and fairness. Classic Series: Play until only one team or one player is remaining. Guns can have their individual settings adjusted with the Included Game Controller. X-Series: An included laptop controls the game and displays scores. Games are crafted experiences. See list of games here. Which gun do I want? Once you choose which series you would like, then you need to decide if the Eclipse or S-7 is your weapon of choice. They act and react the same way, the difference is the housing. The Eclipse is smaller and lighter. The S-7 can have accessories added to it to make it look as tough as you want. How long do I have the equipment? The standard rental period is for 7 days, but also available for 10 days, so just contact us! When it’s time to ship your rental laser tag equipment, just place everything back in the box it arrived in, adhere the return shipping label, then take to any UPS location. It’s that easy! Simply use the form below to give us your information. We’ll get right back to you with equipment availability for those dates, and a quote that includes shipping costs to your door. If you have any questions about how to run your event, we are here to help!